If you know anything about the iconic purple building on Myrtle, you know it’s home to the playful, wonderful world of Bon Ton. And we’re not just talking about the décor. Each menu item is a delightfully playful and delicious twist on a Cajun-style classic, including Southern favorite shrimp + grits. The Atlanta Journal-Constitution recently featured Bon Ton’s take on the dish as their recipe of the week, and we can’t wait to try it at home! 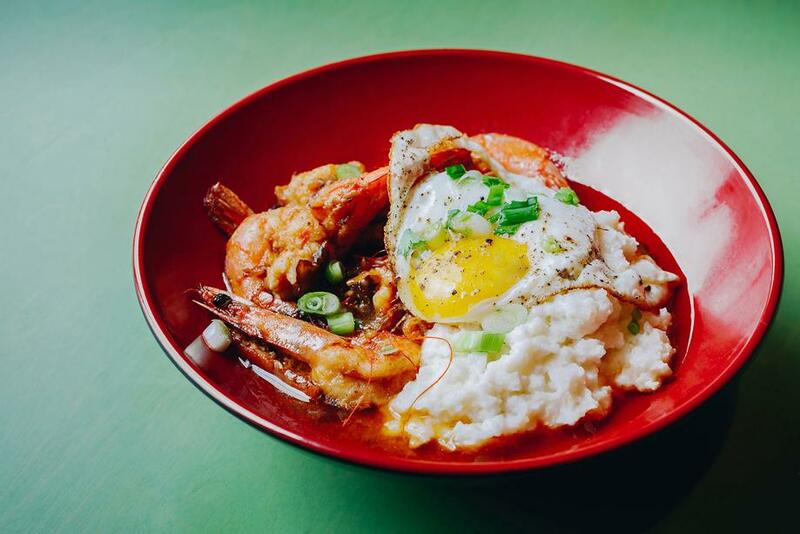 The New Orleans-style barbeque shrimp is served head on, piled top of grits and topped with a fried egg. Of course, toasted bread is a must to soak up all of the tasty sauce. For the full recipe, you can check out the AJC.com article here. Not the cooking kind? Head to Bon Ton for a night out filled with all of their indulgent drinks + food!